Tune your turbo M30 without a standalone! Miller Performance is proud to offer one of the best options for tuning your M30 turbo project! 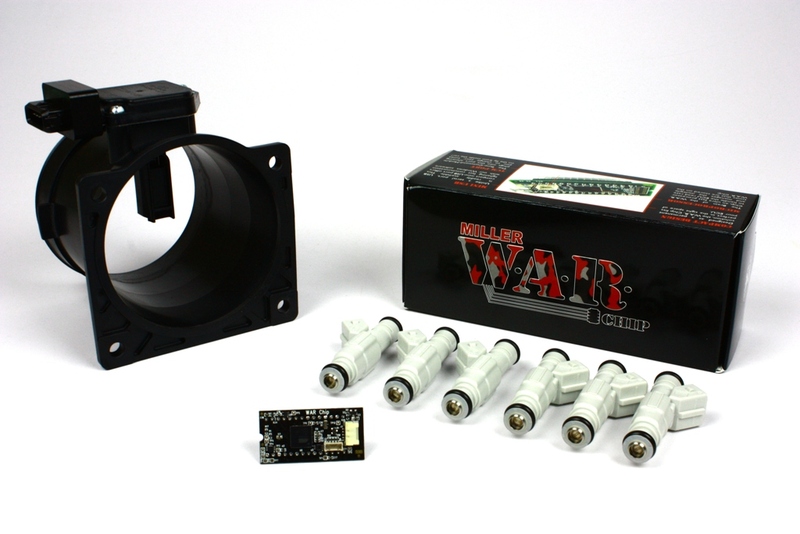 Unlike other tuning packages, our system is designed to give YOU the control you desire over our engine and its tune. The W.A.R. Chip allows you to have the final say in your tune and allows you to modify your tune as your car and power evolves! Many consider us the grandfather of mass air flow conversion technology for the older BMW's. Our experience with MAF construction, calibration and execution is now available for your M30 Turbo engine! Just like our other MAF sensors, our M30 Turbo MAF is assembled and calibrated in house to ensure perfect and consistent accuracy. All our MAF sensor are subject to strict quality control before the ever leave our facility. Because we have total control of our sensors, we can calibrate them for N/A use,or Forced induction use. Our sensors are ready for 550+ wheel HP and can be calibrated to read higher if necessary!